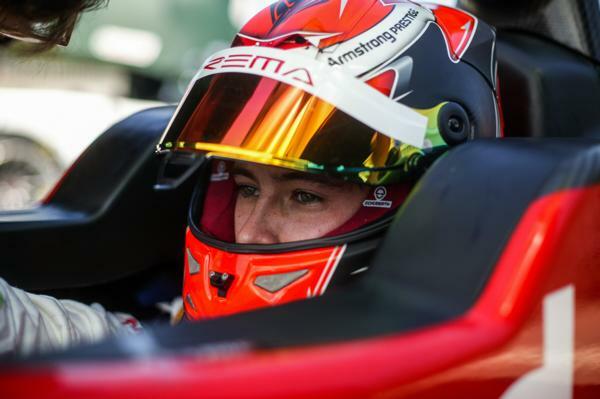 Christchurch driver Marcus Armstrong has won the first race at round two of the 2019 Castrol Toyota Racing Series, maintaining a clean sweep of Kiwi winners across all four races to date. Race wins at last weekend’s opening round went to Liam Lawson and Invercargill’s Brendon Leitch, but it was Marcus Armstrong who took the lead this afternoon on a wet but drying track. Lawson on pole didn’t get the grip he sought, letting Armstrong shoot into a three car lead. All three Kiwis are in the top five of the championship, which is a rare situation. The combination of the long front straight made tricky for the light and agile FT50 singe-seaters by crosswinds that can hammer the circuit unexpectedly together with the challenging in-field turns make Teretonga a circuit where close attention and a certain daring is required to produce fast laps.